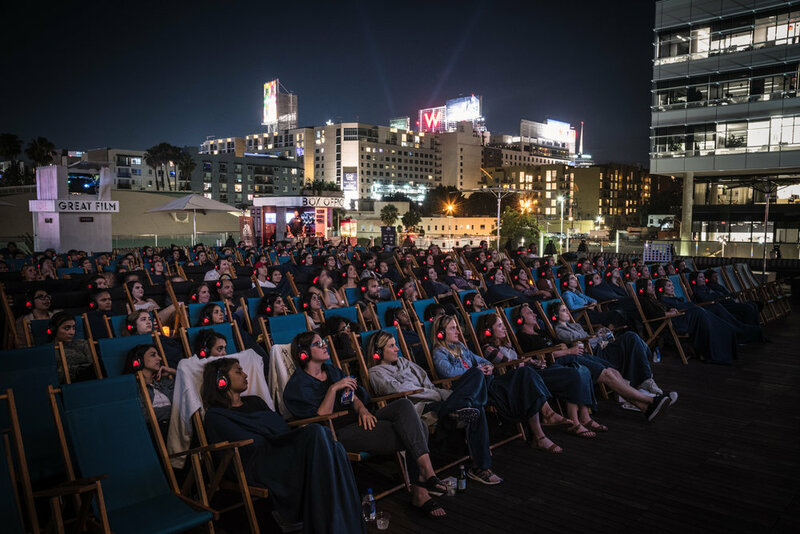 Kings of outdoor cinema, Rooftop Cinema Club, announced today the September screening schedules for their Los Angeles venues taking place at LEVEL in Downtown LA and its newest Hollywood location, NeueHouse. Food offerings are decadent at both locations - think burgers, lobster rolls and charcuterie boards, complete with a full bar! "Pared Eyewear", The Australian Fashion Council and Flaunter are excited to launch the AUSSIE KIOSK for the first time in Los Angeles, on September 5th. Stop by the Platform LA to check out the hottest Aussie brands, grab a bite to eat and enjoy beats by DJ's Matt Saville and Dan Single. 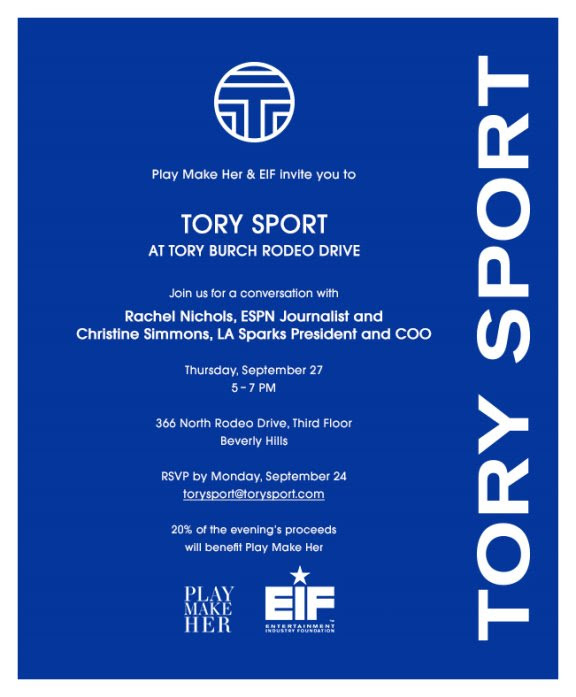 "Tory Sport" at Tory Burch Rodeo Dr.
Invite-Only: Join in on an intimate conversation with Rachel Nichols, ESPN Journalist and Christine Simmons, LA Sparks President and COO. Ticketed -- Guests to the seventh annual Sunset & Dine food festival will sample food, wine and beer from more than 20 restaurants located near the famed intersection of Sunset Boulevard and Vine Street. A wide variety of cuisines will be featured, from chef-driven menus to local favorites, alongside entertainment curated by Amoeba Music. Participating restaurants include: Delicious Pizza, Good Greek Grill, Loteria Grill, Paley., Soul Hollywood, and Wood & Vine. Columbia Square, located at the corner of Sunset Boulevard and Gower Street, 1538 N El Centro Avenue, Hollywood, Calif.
Experiential Supply Co. the same people who brought the It and Ready Player One pop up are now turning Hollywood & Vine into another fully immersive instagrammable playground. The Small Foot Yeti Village is now open and FREE to the public until September 14th. In anticipation of the film, The Warner Bros. film SMALLFOOT hits theaters September 28, and features the voices of a kind of wild cast of celebrities including Channing Tatum, James Corden, Zendaya, Common, LeBron James, Gina Rodriguez, and Danny DeVito. The story follows a community of giant, furry Yeti who discover that their legend of the “Smallfoot” (aka humans) turns out to be true. This pop up will give attendees a glimpse of what the village is really like. 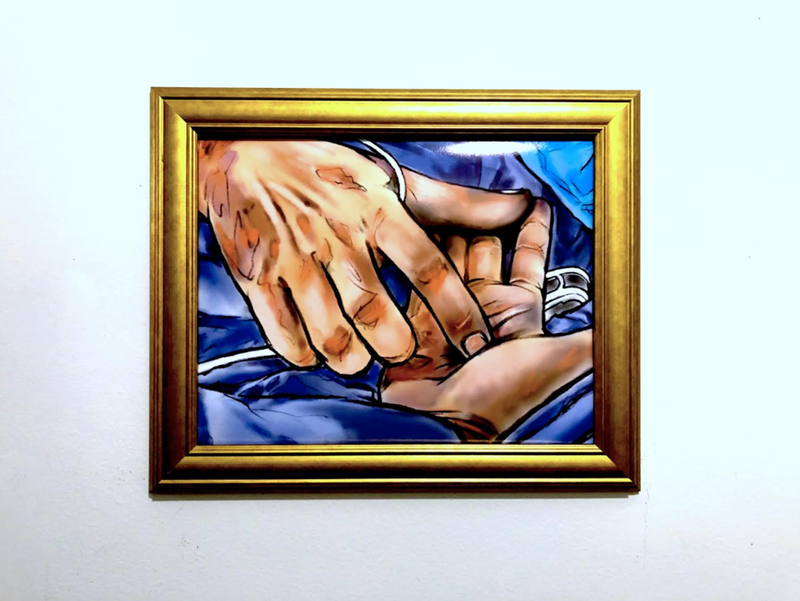 "Anatomy of an Icon: 15 Seasons of Grey's” Exhibit ABC, working with POPSUGAR, have teamed up with THNK1994 to celebrate the landmark 15th season of “Grey’s Anatomy” with a special weekend long exhibit in West Hollywood. The exhibit will pay tribute to some of the most iconic moments throughout the show’s journey while leaving fans energized for what is to come. “Grey’s Anatomy” returns with a two-hour premiere on Thursday, September 27 (8:00-10:00 p.m. EDT) on the ABC Television Network. Open to the public for three days, the exhibit will feature fine art and engaging installations to not only celebrate past moments in the show, but to also create a global opportunity to discuss the pillars of the show that are so iconic. THNK1994 will ensure a showcase for emerging, influential and underrepresented artists and collaborators. Click HERE to RSVP! Face Forward announces that the featured performer at their La Dolce Vita-themed Gala will be Grammy-winning artist NE-YO this September 22, at the Beverly Wilshire Hotel. In celebration of the organizations¹ 10-year anniversary, Face Forward hopes to raise over a million dollars to support even more survivors from around the world. Click HERE for tickets. "We are so excited that NE-YO will be performing at this year’s gala! He is a great fit for our mission and the La Dolce Vita them," said CEO/Founder Deborah Alessi. "I am confident this will be our best gala yet. With about eighty percent of our patient funding coming from our gala each year, celebrating our tenth anniversary means we have to make it extra special to help raise more money for surgeries than we ever have. This year in particular, we have more international survivors from places like Kenya, Sudan, Honduras, India and the UK who will be coming for treatment; every dollar raised helps us change lives, one survivor at a time." Ticketed: Habitat LA will honor Holly Robinson Peete, The LA Galaxy and Watt Companies at its 2018 Los Angeles Builders Ball with musical performance by Sheila E. This annual event celebrates outstanding individuals and companies that share Habitat LA’s commitment to revitalizing and transforming the landscape of Los Angeles. In addition to recognizing the organization’s counterparts in building and real estate related industries, this event also raises funds and awareness for Habitat LA’s Building a Greater Los Angeles campaign to empower low-income families by building strength and stability through homeownership.